Linssen Yachts - 250th Linssen LOGICAM II motor yacht comes rolling off the line! 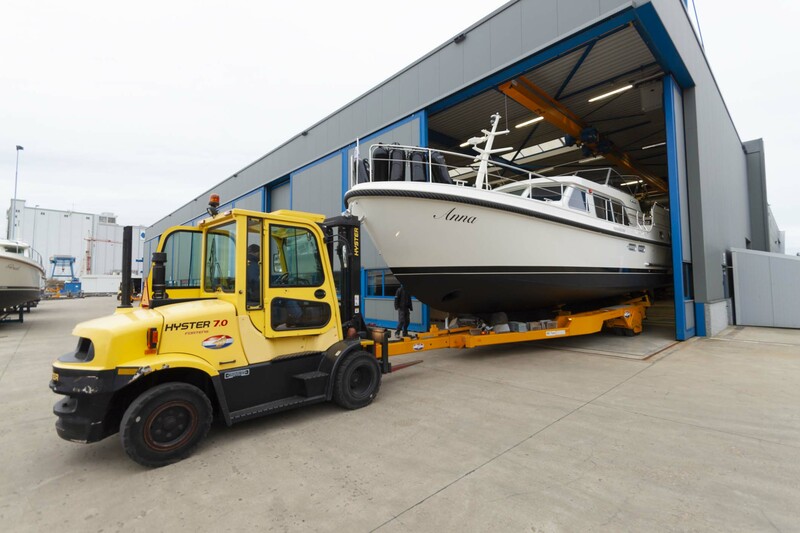 250th Linssen LOGICAM II motor yacht comes rolling off the line! 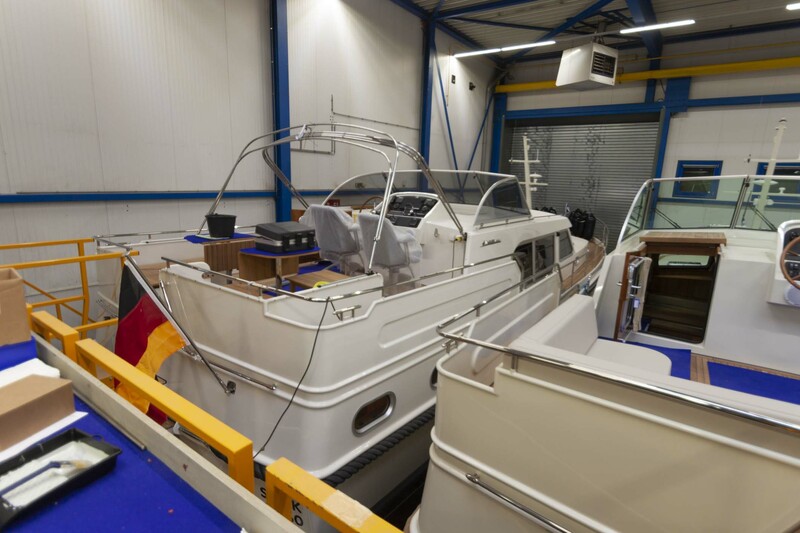 The 250th LOGICAM II Linssen has rolled off the line. The Grand Sturdy 45.0 AC with build number 3457 is now in the final phase of production before being handed over to its proud owner in the spring. The 40’-45’ models of Logicam® II, in the various model years, are among the most popular Linssen model series ever. In fact, on the Logicam II line, the staff are not so much celebrating the production of the 250th model, but rather the 250th proof of the successful strategy that Linssen Yachts has been able, with a great deal of vision and courage, to follow… and to which everyone on the production line (and before then in the sub-processes) has made his or her contribution. Linssen Yachts builds luxury steel motor yachts in series based on the LOGICAM® (Logistics and Computer Aided Manufacturing) flow production technology, which was developed in-house. The Maasbracht yachtbuilder has been using this pioneering innovation since 2005, following and prompted by the success of the first models (29.9 AC and Sedan) in the Linssen ‘9’ series. Following the construction of the steel hull and the preservation process, the yachts slide by means of an ingenious rail and cradle system through the hall in cycles (takt times) of a certain number of days to the following building station. To put it simply, the specific discipline doesn’t go to the boat, the boat goes to the discipline. The LOGICAM® process has been refined throughout the years and developed to include the hull construction and the finishing of the larger Linssen models. 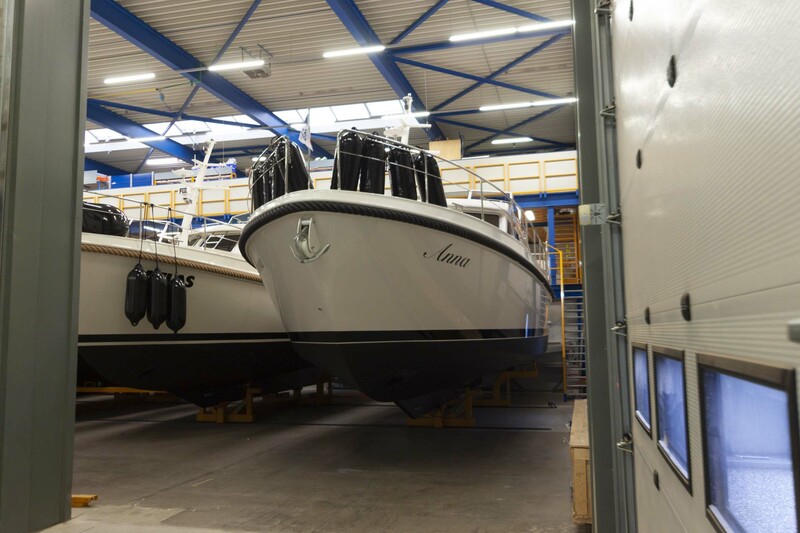 As a result of this pioneering process, Linssen has changed the face of traditional Dutch steel yachtbuilding for good. Not only with respect to an efficient building process, but also as regards the unique (in steel yachtbuilding) European Linssen distribution and service network. A series-built boat: the boat of your dreams! Linssen is delighted to build the customised boat of your dreams. This is what the 70-year-old family business has been doing for years on a daily basis – in series of course! The series-built hulls can be specified from an extensive series of options in such a way that individual yachts eventually result. This means that every new Linssen is a unique, individual creation. The systematic standardisation of components and the prefabrication of technical modules ensure a consistent product quality and a high level of finishing. The key words are ‘modular construction’, which involves programming the steps at which the modules are assessed and tested prior to installation or assembly in the yacht. Standardisation makes it possible to produce a reliable fault diagnosis. A reassuring feeling for the owner if a yacht is sailing to a far-away destination! 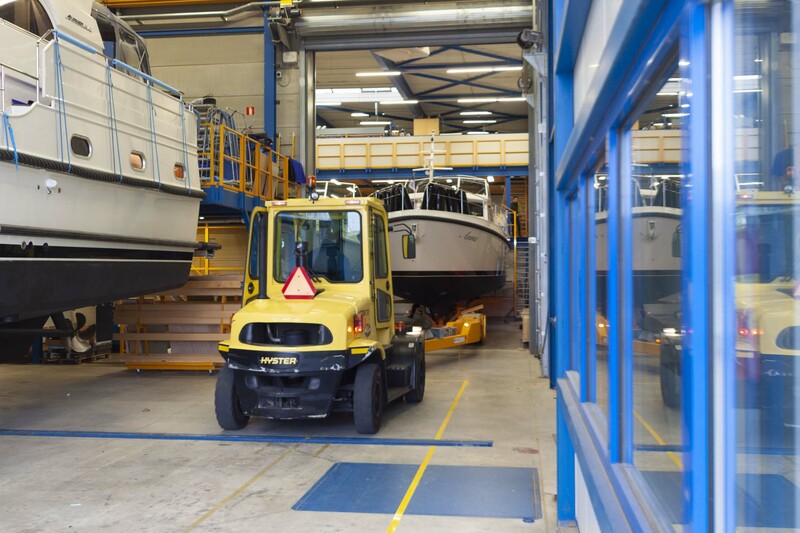 At the Linssen boatyard, LOGICAM® production lines are now operational in three halls. The LOGICAM® I line produces all model versions up to and including 35’, LOGICAM® II between 40’ and 45’ and LOGICAM® III produces the large models above 45’.